The Democratic Republic of the Congo sits in the heart of Central Africa with a population estimated at over 58 million people. Although at least 700 different local languages are spoken throughout the region, French and Lingala remain the most prominent forms of communication. Since its independence from Belgium in 1960, what is now know as the DRC has been ripe with political turmoil. A 5 year civil war, instigated mainly by unrest in the neighboring eastern countries of Uganda, Rwanda, and Burundi left it's toll on all of the Congolese people. Over 3 million people are estimated to have died and many more left homeless as a result of fighting or starvation. The vast potential for natural resources throughout the DRC has served mainly to fuel conflict and corruption. Current stability however, has brought with it new hopes of progress. 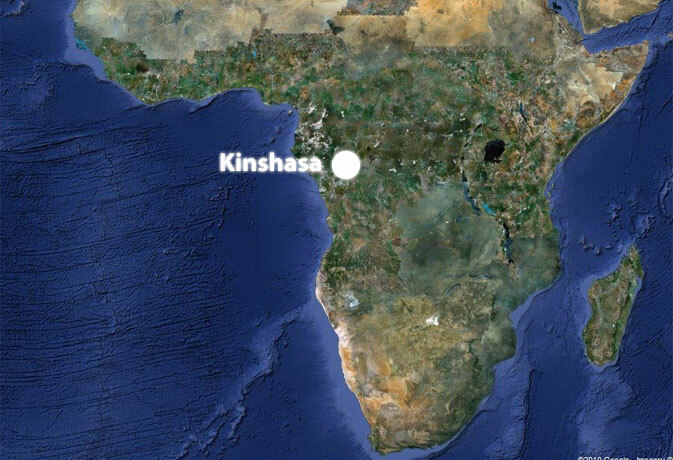 Separated by over 700 miles and a vast mountain range, the Capital city of Kinshasa remains relatively unharmed by the violent tribal and political conflicts that plague the country's eastern half. It represents a place for economic progress and a haven for those looking to escape the violent history of the DRC. Within Kinshasa the Admirable Mother orphanage is well known as a safe house for orphaned girls where they have the ability to grow up isolated from the troubles plagued by those just struggling to survive.